Our grain elevators are part of what makes Buffalo Buffalo. 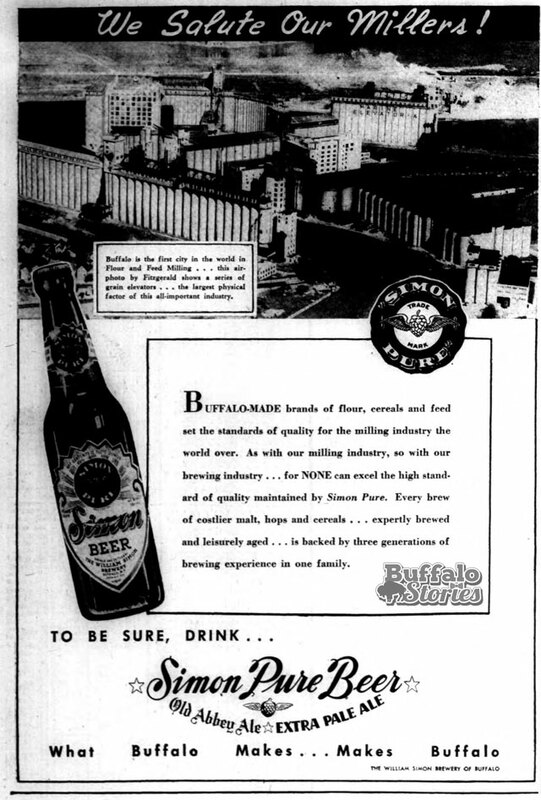 Simon Pure ad from 1949 celebrating Buffalo’s milling industry. 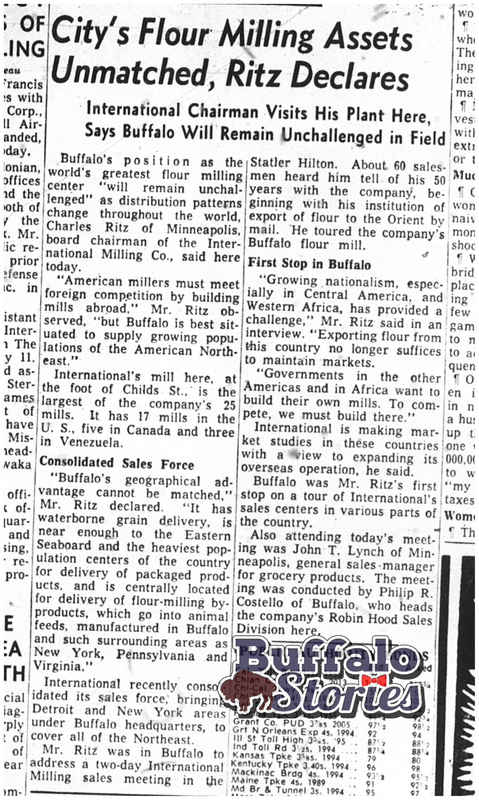 More than 15,000 men worked in Buffalo’s flour and feed milling industries in the 1940s and 50s. No other city in the world processed more grain than we did in Buffalo. 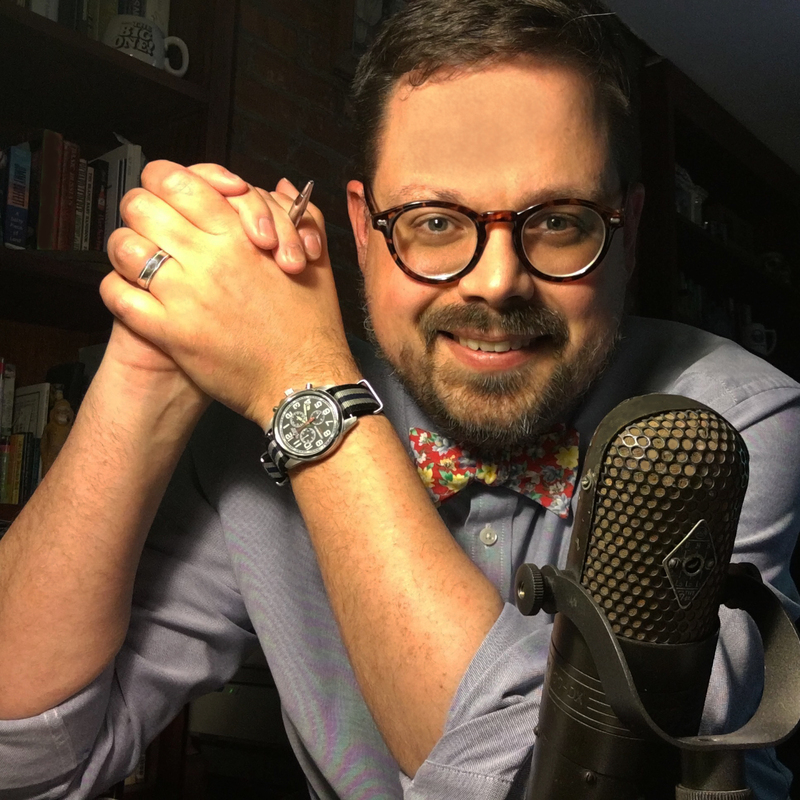 Circumstances changed through the decades, and the grain boats stopped coming. Those hulking elevator and mill complexes along Buffalo’s waterways served as reminders of what Buffalo had lost for decades. Now the grain elevators that survive are being adapted to new uses, and serve as an example of how Buffalo can make it’s past– part of its future. This video from fastimages.net features Buffalo’s lighthouse, waterfront, and various aspects of Buffalo industry. 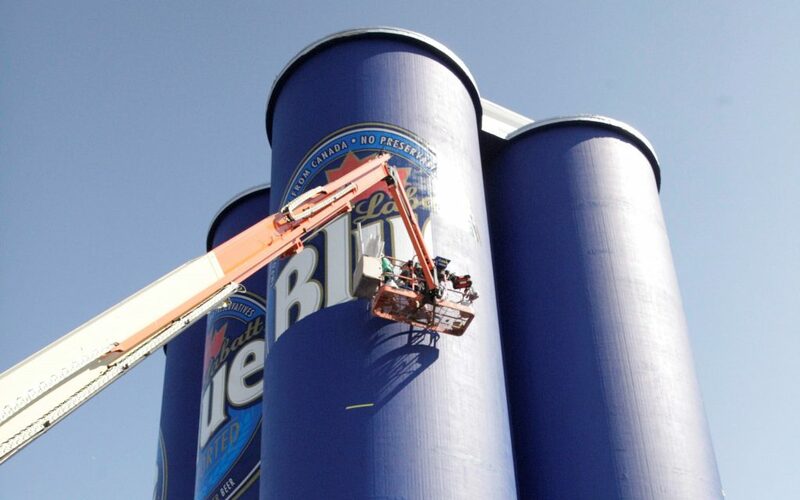 For decades before the six grain silos at the Ganson Street RiverWorks complex bore the name Labatt Blue, they bore the initials GLF. The site was home to the then- state-of-the-art Wheeler elevator starting around 1908, replacing the earlier wooden elevator shown below. The Grange League Federation bought the elevators in 1929 and renovated and added to the structures over the next handful of years. At top production, a grain mill built on the site in 1930 was filling 100 rail cars with hog and cattle feed every day. The GLF C-Annex was built in 1936. Its six main 100-foot tall, 21-feet across bins could hold up to 154,700 bushels of grain. 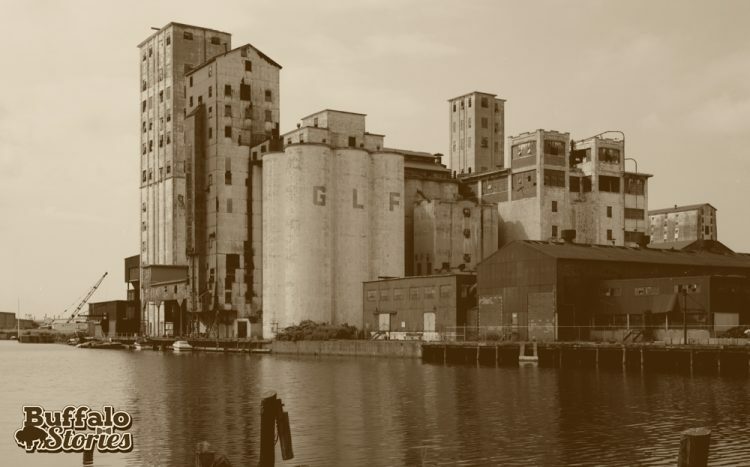 In 1964, GLF merged to combine Agway, and the milling and storage work done on the Buffalo River eventually moved to Tonawanda. The site was abandoned in the mid-1970s. When you look at the water when you’re driving along the I-190 between the Peace Bridge and the International Rail Bridge, you’re looking at the Black Rock Canal. In 1899, on this spot, you would have been surrounded by grain storage, milling and malting infrastructure. 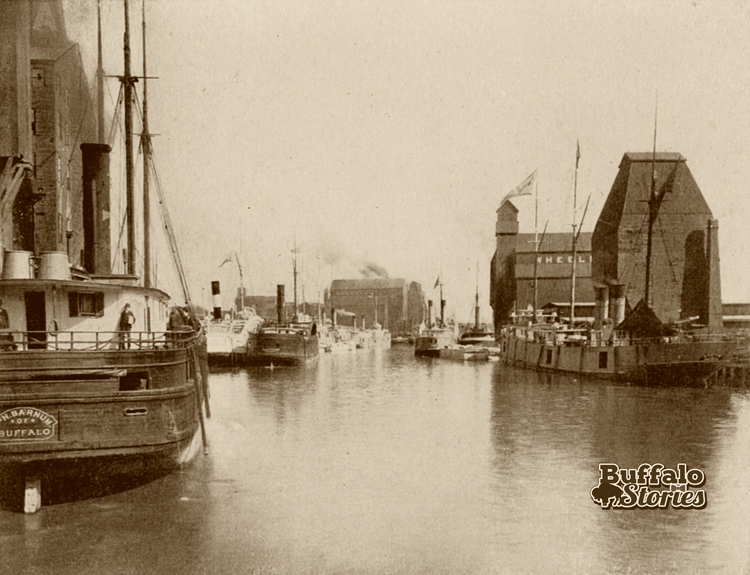 The photo above shows the foot of Ferry Street looking toward Breckenridge – or in other words, if you’re driving along the I-190 north, this is the area across the water starting at the Ferry Street bascule lift bridge (which was built 14 years after this photo was taken). 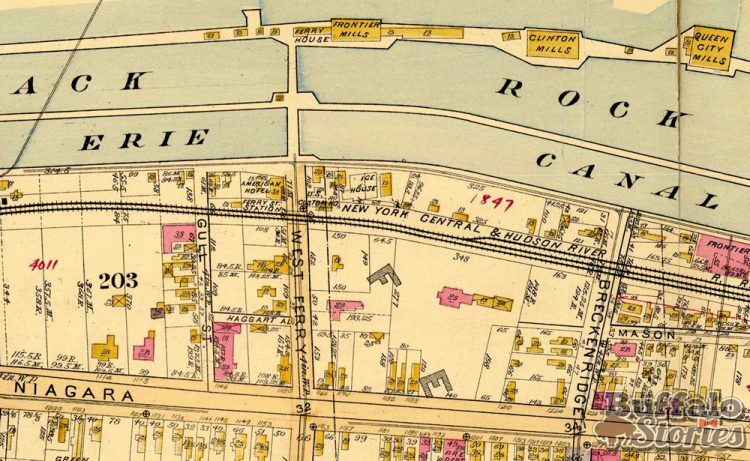 This 1894 map shows the mills in the photo at the top, in the area that is now Broderick Park. The I-190 now runs along what is the lower shore of the Black Rock Canal on this map. Rich Products manufacturing and headquarters now takes up the space between West Ferry and Breckenridge on this map. The Frontier, Clinton and Queen City mills were destroyed by fire in 1901. Fifty-five years later, Buffalonians are growing increasing excited as new and innovative uses are being created for the aging, hulking grain elevators and mills along the Buffalo River. But this week in 1960, the chairman of International Milling would have “looked at you funny” had you told him the best use for grain elevators might be to wrap them to look like beer cans so people have something interesting to look at while they play outdoor ice hockey. When we think romantically about “Buffalo’s good old days,” when a man could walk into any plant of factory in town, put in a good day’s work and provide well for his family, one part of the equation we often forget is labor strife. This week in 1950, about 500 grain elevator employees walked out on strike. That decision had an impact on another 4,000 workers who refused to cross picket lines or were idled because their work was reliant on the strikers. These included grain scoopers, grain car coopers, longshoremen, construction workers and railroad switchmen. 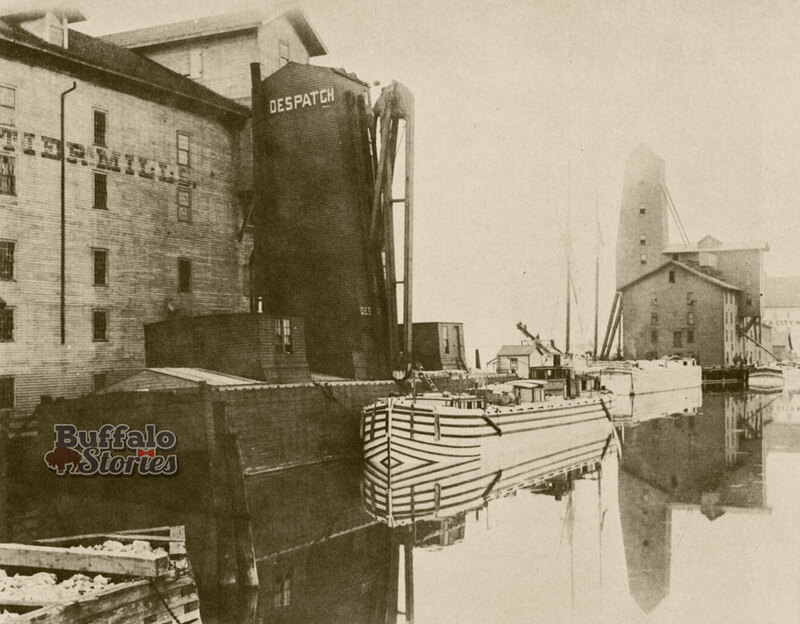 In many cases, grain stored in the elevators was transferred to nearby Buffalo grain mills for rendering. The mills were also closed down. As 300 carloads of grain sat on docks a few days into the strike, there was some mild violence and minor injuries. The state also ruled that none of the 4,500 idled workers would be eligible for unemployment benefits.